Famed for its history, music and cuisine, New Orleans is one of the world's most extraordinary cities. Our campuses are integral to the landscape and life-blood of this city. 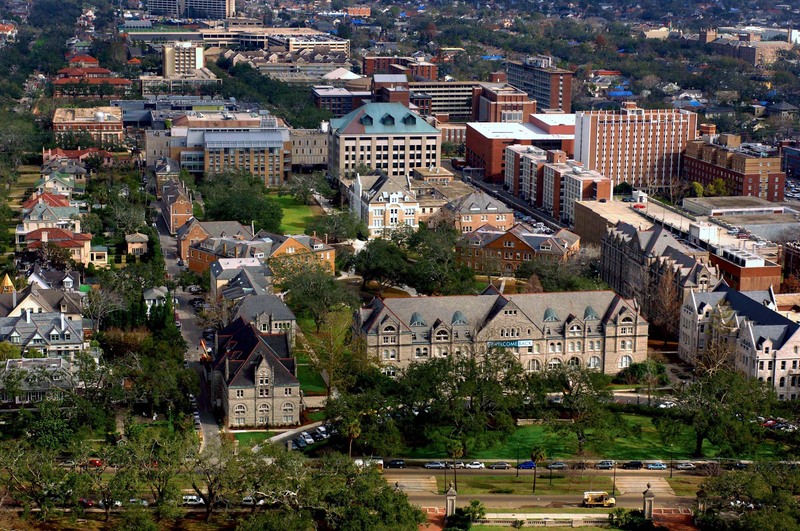 Uptown, the home of undergraduate residential life and several schools and colleges such as Newcomb-Tulane, law, business, and more, is nestled among the famous moss-covered oak trees and on the same tract of land as Audubon Park, along historic Saint Charles Avenue. Our downtown campus—home to social work, medicine and public health & tropical medicine—is clustered among the bustling streets and skyscrapers of the Central Business District and abuts the historic French Quarter. The ByWater Institute at our new riverfront campus brings scholars from across disciplines together to find innovative ways to manage threats of rising water from coastal erosion, natural disasters and a changing environment. We also have campuses in Harahan, La., and in Houston, Tx. By the way, Tulane’s campus is global— our study abroad program dates back to 1954, making it one of the oldest and most respected in the nation. We offer over 100 study abroad programs in over 40 different countries!